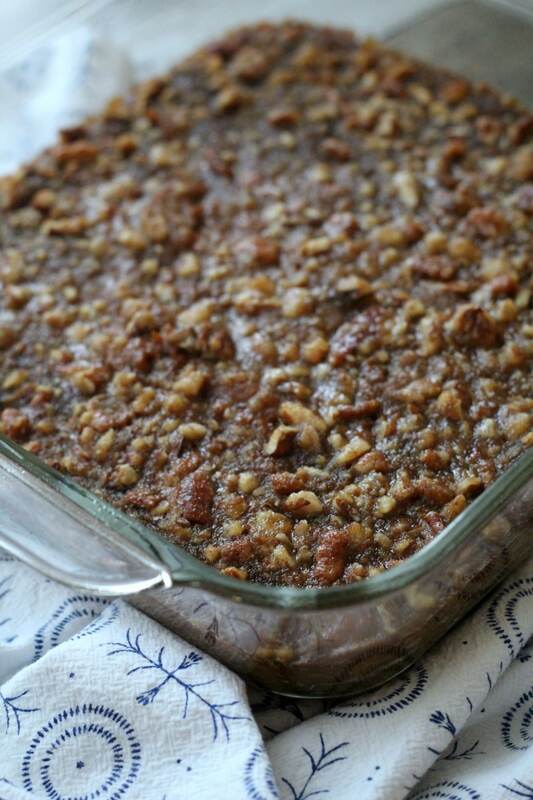 My Low Carb Pumpkin Crisp Recipe is one of my favorite easy desserts to make. 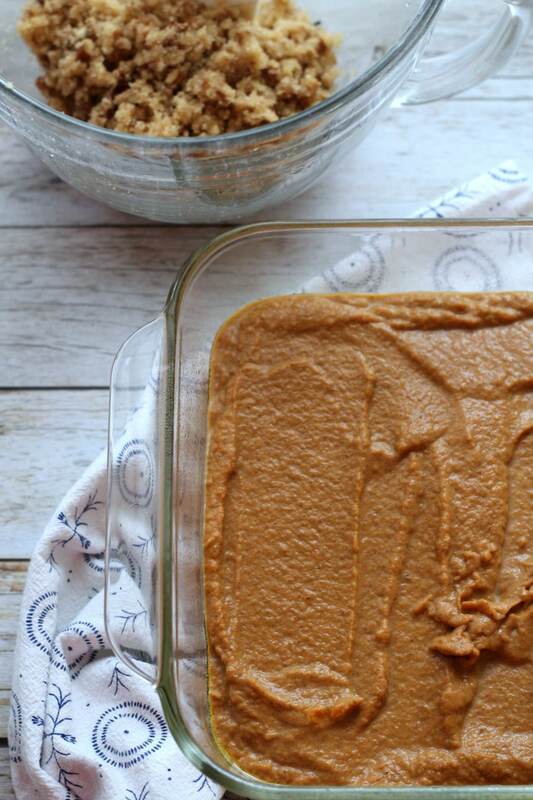 When pumpkin season hits, everyone is always sharing their favorite recipes, and I love how simple this one is to throw together. It definitely satisfies the cravings for something sweet, but still stays in my keto macros. My mom is a fantastic cook. She always makes the biggest Thanksgiving spread complete with a Sweet Potato Souffle topped with a pecan crunch topping that is absolutely amazing. 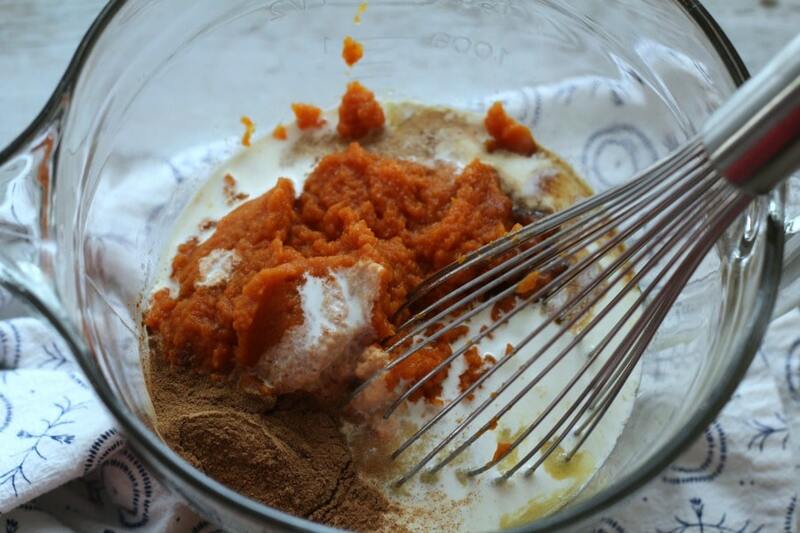 As I have been working on creating several different new recipes for fall, I thought that I might be able to tweak her recipe for Sweet Potato Souffle and transform it into a Keto / Low Carb Pumpkin Crisp. I never know how a recipe is going to turn out when I start testing, but this one came together quickly. 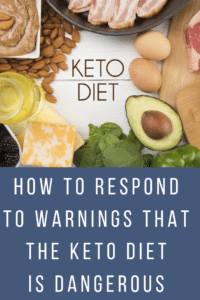 In fact, I had three people who do not follow a Ketogenic lifestyle give it a try, and they all loved it. 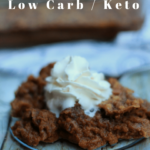 My hubby is a huge fan of pumpkin, so he was super excited about Low Carb Pumpkin Crisp. If you add a little homemade whipped topping, it is divine! I’ve included a step by step pictorial below for your convenience. Scroll down towards the bottom of the post for the printable recipe page and nutritional information. Using a substitute for the traditional sugar is a must. Swerve granulated sugar substitute or Monkfruit white are both great options. You can easily substitute another option that fits into your macros. Your family is going to love this pumpkin crisp recipe. It has a great pumpkin flavor with that crispy topping and crunch you are looking for in a crisp. The best part is that your non-dieting family and friends will love it as much as you do! This means no separate section on the dessert buffet. 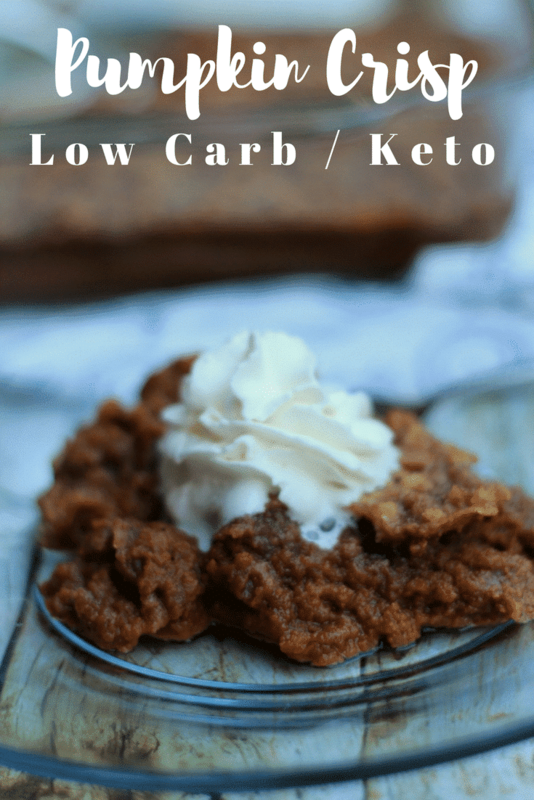 Low Carb Pumpkin Crisp fits right in line with everyone else! For those non-keto family members, you can have some ice cream on hand to top the crisp. Otherwise, you can use a homemade whipped cream for a light topping. Preheat oven to 350. Combine the first 7 ingredients together and whisk until thoroughly combined. Pour into an 8 X 8 greased baking dish. 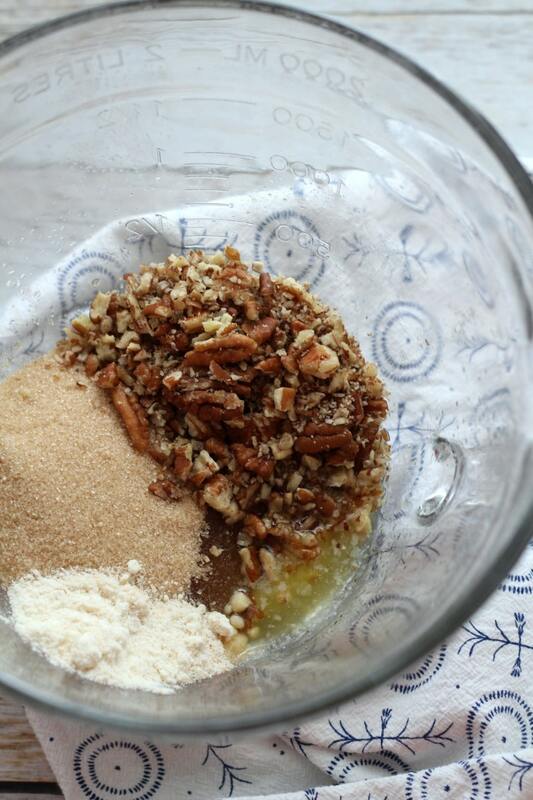 Mix the topping ingredients with a fork until crumbly. 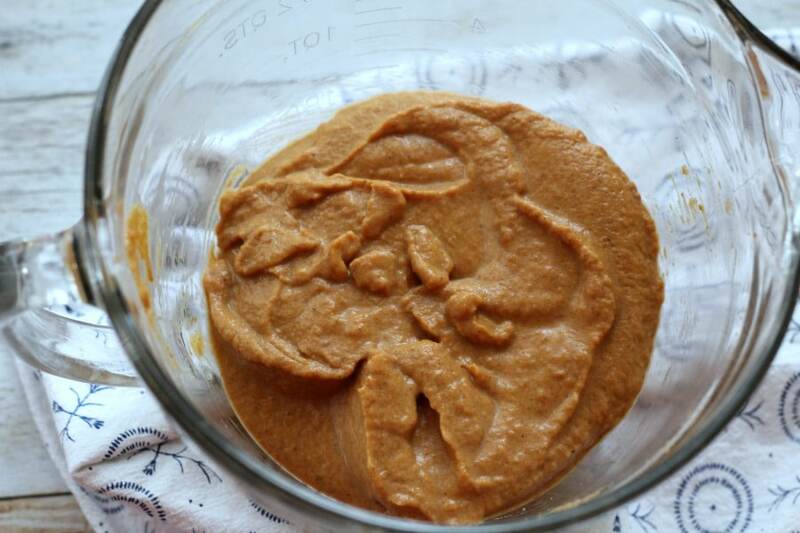 Spread over pumpkin crisp mixture. Bake until light brown for approx 40 minutes or until the middle is slightly set. The nutritional information does not include sugar alcohols from Swerve since most subtract them from net carbs. 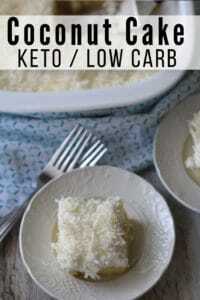 Make sure to check out all of our Keto Recipes in the index for more great low carb meal and dessert ideas! Below are some of our favorites that feature pumpkin, and stay within your keto macros! 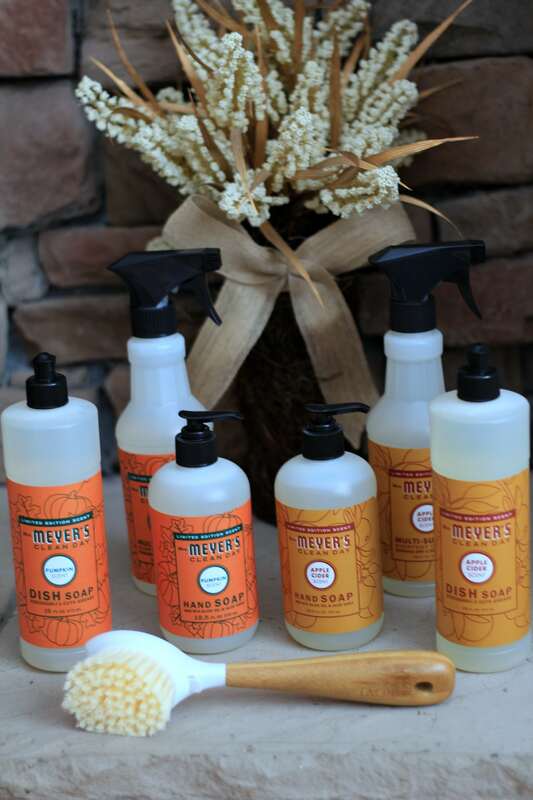 And if you love all things Pumpkin and Fall – you’ll definitely want to check out how to get FREE Mrs. Meyers Cleaning Products in Fall Scents from Grove! Choose from Pumpkin, Mum and Apple Cider scented home and cleaning products – for FREE. Get all the details here. When you make this for your family, what do you use in place of the nuts since your daughter is allergic? I am also allergic, but would lover to make this somehow. Would it still be good if I just eliminated the pecans altogether? Thanks so much! I love your recipes!!! I made my daughter a separate bowl with no pecans. Thank you so very much! I am not sure as I’ve only made it as is. Can you leave out the Monkfruit? I do not care for the flavor of it. That is up to you. I can’t guarantee how it would turn out as I’ve only tested it as is. Swerve would be a good option as it is usually interchangeable with Monkfruit. 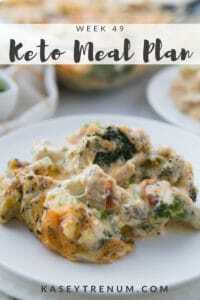 Hi Kasey, this looks very similar to a non Keto recipe I had. I would like to try this this Thanksgiving but I don’t have Monkfruit golden but I’ll have Sukrin Gold brown sugar substation can I use that in place and would it be that amount? 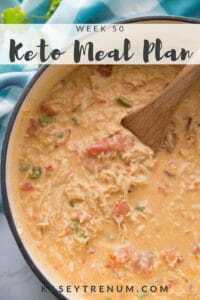 This is a keto/low carb recipe for those following a keto or low carb diet. Regular sugar and flour will not work in this recipe. Monkfruit is a keto friendly sugar free sugar substitute. Wondering if I could use stevia instead of swerve as that tends to bother me? And what would be the the amount? Or at least can you make it with less amount of swerve? This looks so good. Can’t wait to try it. Thanks for the recipe! I have only made it as is so I’m not sure how much Stevia you would need. Feel free to adjust the Swerve to your personal liking. You are very welcome. The number of servings is listed at the top of the recipe card. I don’t measure I just divide the recipe evenly. I’ve only made the recipe as is so I can’t say from personal experience but I would think it would be fine. Awesome! Glad you liked them! 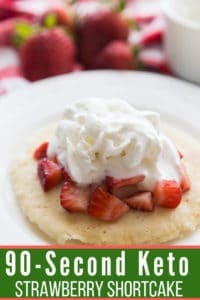 Do you think this could be made with coconut cream in place of the whipping cream? Dairy bothers me. Possibly. I’ve only made it as is so I’m not completely sure. Most that follow a keto diet avoid coconut sugar since it is a form of regular sugar. Also, the Monkfruit in this recipe is Monkfruit Golden, which is a sugar-free brown sugar sub. You can use almond flour but you’ll need 4x as much. Can you substitute the pumpkin with sweet potatoes? Sure but the carb count will change. Not sure. I’ve never tried. Hi Kasey, I made this dish exactly as the recipe but it was super, super sweet. Almost on the brink of too sweet to eat for my taste. Any thoughts of what to do to tone the sweetness down post production? Not sure how to tone the sweetness down after it is already made. Not sure why it turned out too sweet. This is a hit at our house. Mine isn’t cooking. I’ve been cooking it at 350 deg for 55 min and it’s still jiggling. I followed the directions….??? It is more of a souffle type texture.